A professionally managed company, Powercap Transformer Technologies Private Limited is a front-runner in the Transformers Industry. 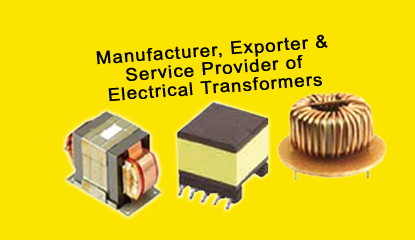 The firm is one of the leading manufacturer & exporter of a wide range of Electrical Transformers in India. Backed by a vast industry experience of 18 years, we, Powercap Transformer Technologies Private Limited, have been able to offer functionally superior range of Industrial Transformers, Inductors, Chokes, Coils and Magnetic Component. 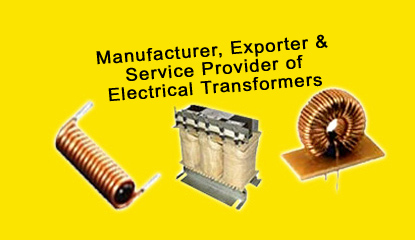 Designed in accordance with industry standards and safety norms, the range encompasses Encapsulation Transformers/Coils, Ferrite Core Rod/Bead Inductors, Ferrite Core Toroid Chokes, Ferrite Core Transformer (Surface Mount), Ferrite Core Transformers (Through Hole) and Power Transformers and Distribution Transformers. In addition, we specialize in offering a wide array of Silicon Steel Lamination Chokes/Reactors, Special Application Transformers, Silicon Steel Lamination Transformers, Ferrite Core Inductors/Coils/Chokes, Magnetic Component and many more. All these products are manufactured using optimum quality raw material, which is sourced from prominent vendors of the industry. Owing to their distinctive attributes such as high performance, precision designs, accurate dimensions, corrosion resistance, high tensile strength and longer working life, these products finds extensive applications in industries such as automobile, telecom, medical and many more. Empowered with advanced manufacturing facility and pool of diligent professionals, we have been able to offer custom designed products based on the specifications put forth by the clients. With products that are testified by various government testing agents and ISO/TS 16949:2009 certification, we have been able to muster a long list of loyal customer across the globe. Ferrite Core TransformersWith an objective to fulfill the divergent needs of the clients, we are engaged in manufacturing, supplying and exporting Ferrite Core Transformers. The core transformers we are offering are manufactured in accordance with the norms and standards of the industry. 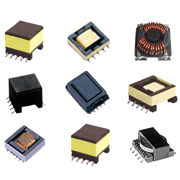 Our professionals use latest machines and high quality material while manufacturing these ferrite core transformers. These transformers are monitored at every stage of production, so as to develop premium quality transformers. Standard Magnetic ComponentsWe are engaged in offering a commendable range of Standard Magnetic Components. All our products are developed using optimum quality raw material and modern manufacturing techniques. These products are precisely designed in line with the illustrated parameters of the industry so as to live up to the expectations of the clients. The offered products are available with us in different specifications and sizes suited to the multifarious requirements of the clients. Choke CoilWith firm commitment to quality, we are engaged in manufacturing, supplying and exporting superior quality Choke coil. All these choke coils are manufactured by using latest machines and high-grade material and following the established norms of the industry. Offered choke coils are examined on variegated parameters of quality, before the final delivery. We also offer these choke coils in custom-built range as per the needs of the patrons.